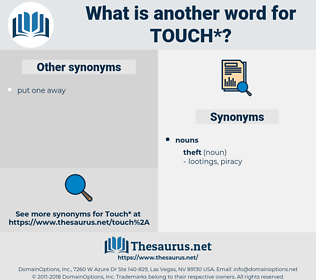 What is another word for touch? communicating, tact, communications, hint, curfew, bit, clarion, communicate, tactile, keystroke, finger. Reached, included, related, concerned, received, involved, felt, addressed, covered, struck, cashed, Walked, Dealt, pressed, drew, Spanned, spans, Gave, earned, Got. connecting, approaching, interacting, gathering, Linking, engaging, dealing, getting, communicating. hurts, confronts, occupies, Focuses, afflicts, encompasses, collects, intervenes, crosses, occurs, relates, IMPACTS, concerns, Comes, infects, effects, pertains, responds, receives, involves, permeates, impinges, moves, Addresses, suffers, embraces, covers, harms, accounts, refers, extends, Strikes, straddles, nears, attacks, cuts, cashes, stands, pervades, goes, underlies, deals, lays, draws, brings, Bears, earns, gets. Trafficking, requests, mention, mentions, Addressing, toque, comment, relate, broach, refer, afflict, dwell, turn, influence, tackle, communicate, concentrate, interfere, encompass. impotence, ineptitude, inability, ignorance, lack, weakness, incapacity. overmuch, permeation, superabundance, plenty, surplus, superfluity, pile, much, loads, heaps, slab, overkill, excess, bonanza, embarrassment, overabundance, overage, gobs, oversupply, saturation, pervasion, surfeit, overflow, volume, lump, hunk. order, dissuade, calm, discourage, quiet, pacify. conceal, hide, disjoin, miss, divide, abstain, shy away, separate, secrete, lose, manhandle, shrink, fail, suppress, cower, ignore, refrain, avoid. 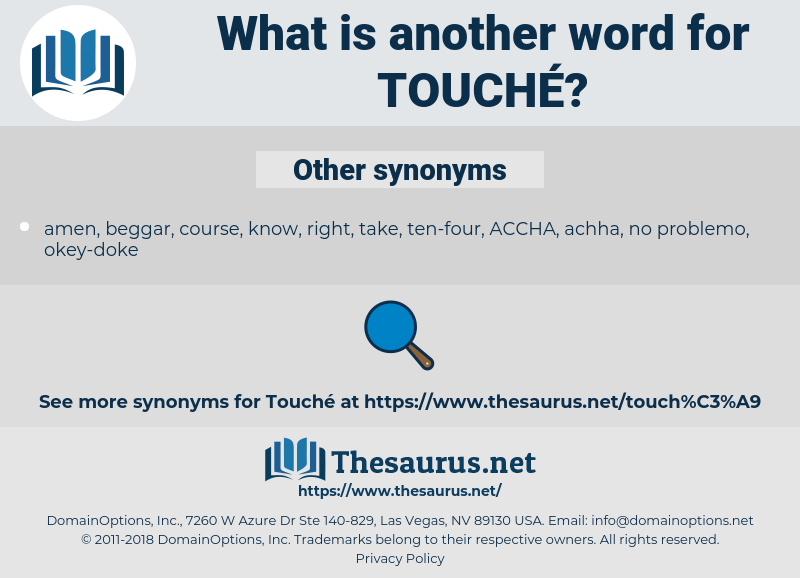 It is but a touch - but a touch." He's afraid to touch her, even now. run into, skim over, touch, tag, HIT, pick up, strike, kiss, handle, feel, toe, press, collide with, brush, buss, mouth, osculate, engage, skim, thumb, snog, palpate, palm, stroke, impinge on, finger. adroitness, quickness, adeptness, facility, deftness. proposition, proffer, communicating, communication, suggestion, solicitation.